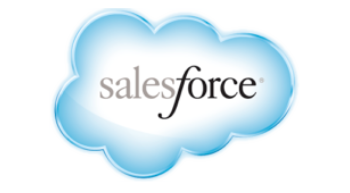 Forbes has recently released its 2013 list of the 100 most innovative companies, and for the third year in a row the business at the top of the list is one that provides an online service – Salesforce.com. Founded as a small startup in 1999, the company’s core innovation was to sell enterprise software from a cloud-based platform. In contrast to traditional “shrink-wrapped” software packages that require the user to purchase, install, maintain, and update the program, they would develop enterprise software that could be fulfilled, managed, and updated as a subscription or utility. Now known as “software-as-a-service,” it was a groundbreaking new model at the time. Investors are willing to pay more because they see something special in the company’s potential for significant growth. To retain its innovative edge for nearly fifteen years, and top the innovation list for the past three straight, Salesforce is doing something right. For one thing, most of us think of innovation in terms of developing new discrete products and technologies. Salesforce is a technology company, but its primary innovation has been in the delivery model – stemming from the idea of how customers are serviced. As suggested by Michael Cusumano, service innovation can be thought of as a stage in an industry life cycle. Once products have matured and become commoditized, and maximum efficiencies have been achieved through process improvement and innovation, companies may look to service innovation. New business models based on service innovation can reach new customer bases, and provide new value. For example, tool company Hilti, introduced the concept of “tool fleet management” several years back. Rather than purchasing, managing, repairing, and maintaining its own tools, a company can turn to Hilti for a full-service program that incorporates all of the above, plus tool fleet assessment, recommendations, and upgrades for a fixed monthly cost that’s predictable and reduces administrative headaches. We can also glean some advice from Marc Benioff, Salesforce’s founder and CEO, about innovation and keeping a culture of innovation alive. First off, recognize that an ultra-creative leader won’t be able to single-handedly keep growth going forever. As Benioff emphatically put it: “I can’t do it all. I don’t have all the ideas. Another online service company in the top ten on the innovation list this year is Amazon. Started in 1995, just a few years before Salesforce, Amazon has become a dominant force in retail, and one that is constantly on the move. CEO Jeff Bezos’ mantra-“Day One”-reveals everything about the mindset he brings to the company: It’s still Day One in the development of the Internet and online retail. Amazon has grown and innovated relentlessly since its inception, setting precedents in shipping and fulfillment speed and cost, expanding its product base from books to just about every other kind of consumer good, and earning customer trust and loyalty (per a recent Harris poll, it’s now the most trusted company in the world). Notice that Bezos says “experiments,” not “ideas.” Most companies think that what they lack is great ideas. But most of the time what’s missing is the infrastructure to capture and experiment effectively with those ideas-in other words what we need is more execution, not more creativity (see “Intrapreneuring—It Takes a System” in the October 2012 issue of this newsletter). Understand that your job as a leader is not to be the chief innovator but to be leader of the charge to create a culture of innovation. Spend as much time with customers as you can, and encourage your people to do the same. Do your best to hire and spend time with people who have some track record of creativity – even if it’s just small inventions and innovations they’ve come up with. Decentralize innovation; people need to know that contributing on small innovation teams is part of the job expectation. Encourage experimentation as a fast-cycle learning process, and teach people how to do it.